In simple terms a GIF is an animation consisting of a few images stitched together in a loop to create a moving graphic without sound. GIFs can be created from videos or images. Due to an increase in popularity many apps have surfaced that allow almost anyone to create their own GIF. Even if you are not the most savvy with technology, creating a GIF is simple. Most apps follow the same trend, upload a short video or a few sequential images, choose the speed and duration of the GIF, add a filter and whala, you have a GIF that is ready for sharing! With this new form of content creation comes benefits of user generated content. 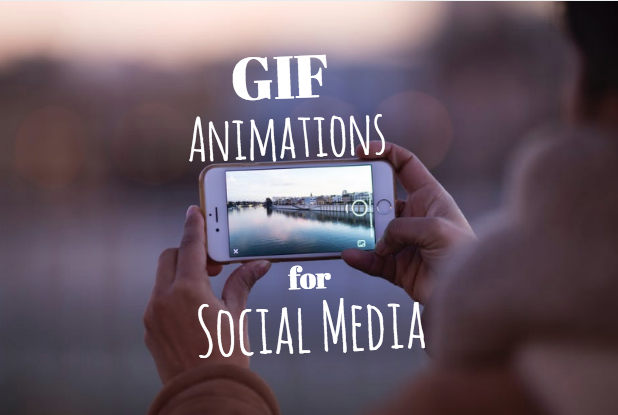 GIFs appeal to many social media users because they play automatically capturing a user’s attention right off the bat. They are usually light hearted graphics that capture only the prime moment of a video or otherwise are a clever animation mash up of several entertaining sequential photographs. Since these short graphics are relatively low quality and only a few seconds long, they are supported by various social media channels including Facebook, Instagram and Twitter. These short clips have grown in popularity over the web, and how could they not? The list of growing categories includes: cartoons, celebrities, sports, animals, shows, movies and more. There are several sites like www.giphy.com that have a plethora of GIF ready for sharing, but as mentioned before if you would rather build your own you have that option too with apps like boomerang! Overall the silly, playful animations capture user's attention without fail. For your business page, you can use them to reply to people on Facebook, or simply post a GIF with a clever caption to promote a holiday or something special happening with your business! GIFs are great for business accounts because they deliver a human element. The point of social media is to form a relationship with potential clients and form a lasting bond with past, and hopefully returning, customers. A business page that posts extremely formal responses may be seen as a cold, but by sneaking in a few playful GIFs here and there, your audience can relate to your page more, or at the very least remember how your brand made them feel when they came across a silly GIF. But, be mindful of how you use GIFs. Although they are humorous you won’t want to overuse them on a business page. Find a balance between portray a human element, and a professional image by using GIFs sparingly.